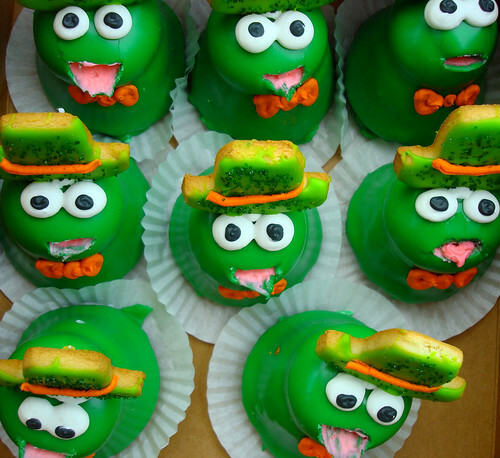 Tis the season...for St. Patrick's Day Frog cupcakes! Cute new baking company and blog: Miss Jones Baking Co.
Is there anything better than cake for breakfast? Utterly necessary French cooking terms. How to make your own yogurt! I loved learning about: the history of the frisbee pie. 30 uses for your leftover birthday cake. Now would be a good time to check out SpyMom's Irish Soda bread recipe. Pomegranate and lime parfait: yum.